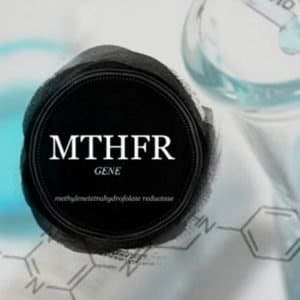 MTHFR (Methylenetetrahydrofolate Reductase) is very critical in the function of methylation, a complex biochemical process that regulates gene expression (turns genes on & off) and governs intracellular detoxification. MTHFR is needed for the metabolism of folate (folic acid) and is a cofactor needed to convert homocysteine (a potentially toxic amino acid) to methionine. MTHFR has been linked by many researches to conditions such as Blood Clots, Heart Disease, Fibromyalgia, Migraine Headaches, Infertility, Autism, Birth Defects, Miscarriages, IBS, Mental Illness and many more. 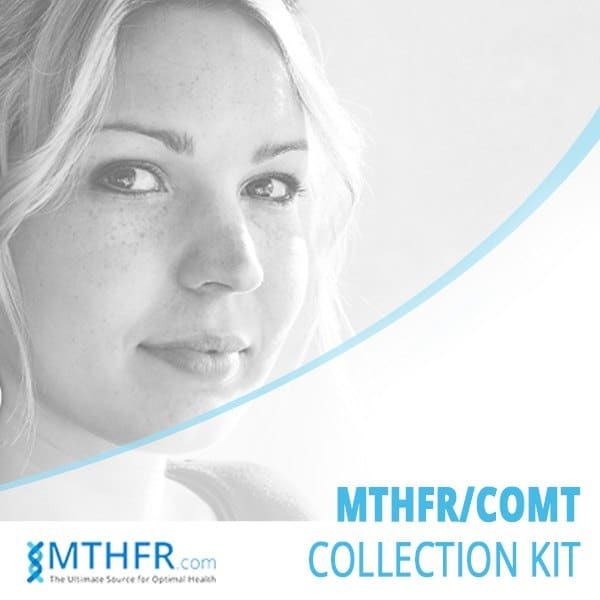 MTHFR mutations occurs in over 80% of the population. Our MTHFR testing checks for mutations in the two most important alleles. MTHFR Testing – C677T can also lead to high homocysteine. Although it does not necessarily mean there will be high homocysteine levels in a clinical setting as there are other factors that can influence homocysteine levels. This allele has shown in research to have a greater impact in someone’s health. MTHFR Testing – A1298C has not been found clinically to have an effect in homocysteine levels. This allele has a greater effect in the production of BH4 (tetrahydrobiopterin). BH4 is a cofactor in the production of neurotransmitters such as epinephrine, serotonin, L-Dopa, melatonin, etc. A deficiency of BH4 may affect the cardiovascular and neurological systems as well as emotional wellbeing. Two versions of this enzyme are made from the gene. The longer form, called membrane-bound catechol-O-methyltransferase (MB-COMT), is chiefly produced by nerve cells in the brain. Other tissues, including the liver, kidneys, and blood, produce a shorter form of the enzyme called soluble catechol-O-methyltransferase (S-COMT). This form of the enzyme helps control the levels of certain hormones. COMT helps get rid of excess neurotransmitters and estrogens. A homozygous mutation of the V158M allele is associated with a 40% reduction in COMT activity. Patients receiving estrogen therapy should pay attention to this gene especially if they have a family history of estrogen related cancers. A homozygous mutation may also affect the way patients process 5-L-Methylfolate, therefore it is always a good idea to have this gene checked in addition to MTHFR. The COMT (Catechol-O-Methyltransferase) gene codes for the essential COMT enzyme that is involved in the inactivation of catecholamines and catecholestrogens. Scientific research has demonstrated that a common mutation in the COMT locus results in the conversion of the amino acid valine to methionine at position 158, and causes a dramatic reduction in the enzyme’s ability to metabolize these neurotransmitters and catecholestrogens. The enzyme is notably active in the prefrontal cortex, or PFC; the area of the brain that gives rise to what we perceive as our personality, emotions, behavior inhibition, abstract thinking, and short-term memory. Val (G) allele carriers have higher enzyme activity resulting in greater stress resiliency and lower neurotransmitter levels, while Met (A) allele carriers have lower enzyme activity resulting in reduced stress resiliency and higher neurotransmitter levels, and heterozygous Val/Met allele carriers exhibit an intermediate enzyme activity. Polymorphisms in the COMT gene have been implicated in association with various mental health disorders through the resulting changes in neurotransmitter levels. Disorders that may be associated with this gene variant in some populations include drug abuse, alcohol abuse, severity of schizophrenic symptoms, obsessive compulsive disorder in men, panic disorder, post-traumatic stress disorder, and bipolar affective disorder. COMT polymorphisms have also been linked to pain sensitivity. It has been suggested that a reduction in neurotransmitter inactivation, such as is seen with the Met/Met genotype, results in higher levels of neurotransmitter, leading to chronic stimulation of the neurotransmitter receptors. This overstimulation may result in less endogenous opioids being produced that help to provide pain relief and euphoria. Therefore, Met/Met allele carriers perceive a higher level of pain, while Val/Val carriers have the greatest resistance to pain. Interestingly though, studies have shown that Met/Met allele carriers require less pain killers to achieve pain relief, possibly due to the increase in µ-opioid receptors seen with this genotype, while Val/Val allele carriers require the most medication for pain management. 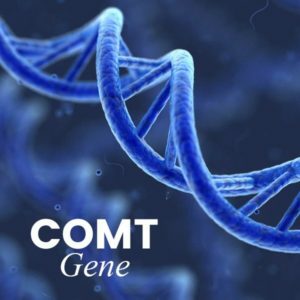 COMT also has been shown to have an effect on neurotransmitter therapy in Parkinson’s disease treatment. Commonly COMT inhibitors are utilized in Parkinson’s treatment to augment and prolong neurotransmitter treatment. COMT polymorphisms affect the bioavailability of these medications, yielding an enhanced effect in the Val/Val allele carriers as compared to Met/Met allele carriers. We provide free shipping to any country in the world. *Instructions for purchases from New York or Maryland. This test has been so informative, and so helpful to me. It was truly a pleasure working with this company. My results made so much sense, and provided me with so much clarity!!! Many things make sense now. Thank you so much for all you do!